Digital Art Museum is an online resource for the history and practice of digital fine art. As an artist, Reas employs ideas explored in conceptual and minimal artworks as focussed through the contemporary lens of software. „Hello World. Revising a Collection“ is a critical inquiry into the collection of the Nationalgalerie and its predominantly Western focus: How might the canon and the art historical narratives themselves have changed through a widening and multiplication of perspectives? Art That Makes Itself @ CPNAS Washington, D.C.
Paul Brown discovered digital computers as a creative medium after seeing the Cybernetic Serendipity exhibition at the Institute of Contemporary Arts in London in 1968. This exhibition is an opportunity to experience works of art produced with the help of increasingly sophisticated robots. 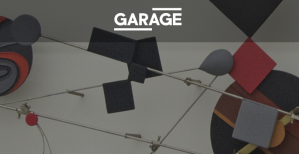 Garage is presenting a major exhibition of kinetic and op art from eastern Europe and Latin America featuring Vera Molnar! The section "Sites of Sustainability: Pavilions, Manifestos and Crypts" features the exhibition series "[New] Tendencies", 1961-1973, curated by Zdenka Badovinac at the Gallery for Contemporary Art Zagreb, including, amongst many others, several DAM Museum artists: Charles Csury, Hiroshi Kawano, Manfred Mohr, Frieder Nake and Edvard Zajec. In the exhibition the broad scope of Llull’s impact will be reflected in a many-layered network of references stretching from the thirteenth century into the present day. Besides the significance of Llullian combinatorics for generative and algorithmic principles to develop advanced media technologies, it is particularly highly topical questions concerning the transfer of knowledge and values that can be dealt with through unconditional readiness to enter into dialogue. DAM Museum artists featured in this exhibition are A. Michael Noll, Manuel Barbadillo and Manfred Mohr. Early in his career Paul Brown began developing processed-based methods for generating images and time-based artworks as an alternative to the then common approach to art making as a form of self-expression. Brown’s work has been exhibited internationally at venues including the Tate and the Victoria & Albert Museum and is also in major public and private collections around the world. What can a robot do that an artist cannot? If it has an artificial intelligence, does a robot have an imagination? Who decides: the artist, the engineer, the robot, the spectators or everyone together? What is a work of art? Should we fear robots? Artists? Artist-robots? 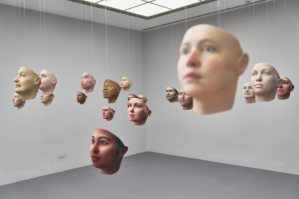 Featuring works by some forty artists, it offers a gateway to an immersive and interactive digital world - an augmented body sensory experience that subverts our notions of space and time. The project gathers more than one hundred artworks from the postwar period to the end of the 1970s, including kinetic sculptures, paintings, drawings, films, and installations, as well as unique archival materials. Participating artists: Vladimir Akulinin, Feliza Bursztyn, Valdis Celms, Lygia Clark, Carlos Cruz-Diez, Milan Dobeš, Dvizhenie group, Wojciech Fangor, Vladimir Galkin, Gego, Tomislav Gotovac, Alexander Grigoriev, Oskar Hansen, Jerzy Jarnuszkiewicz, Krystian Jarnuszkiewicz, Kaarel Kurismaa, Julije Knifer, Gyula Kosice, Viacheslav Koleichuk, Janis Krievs, Julio Le Parc, Almir Mavignier, Vera Molnar, Lev Nussberg, Helio Oiticica, Abraham Palatnik, Andrzej Pawłowski, Ivan Picelj, Ludmila Popiel, Prometheus group, Vjenceslav Richter, Jerzy Rosołowicz, Rimma Sapgir-Zanevskaya, Mira Schendel, Sigma Group, Jesus Rafael Soto, Viktor Stepanov, Arturs Rinkis, Aleksandar Srnec, Henryk Stażewski, Zdeněk Sýkora, Victor Vasarely, Magdalena Więcek, Ryszard Winiarski, and Stanisław Zamecznik. Only a few years ago it would have seemed ridiculous to discuss the influence of computer graphics on art and society. Although computer-generated graphics had already been applied in important areas of science and technology, its influence was not yet felt in the arts or in society at large. Those few who used the computer as an artistic instrument were regarded as outsiders: with their freelance experiments they deviated from the solid ground of strictly defined tasks, but on the other hand found no approval in artistic circles. One of the causes for this lack of approval may have been that they did not submit to the frequently changing fashions which are prevalent in today's visual arts. 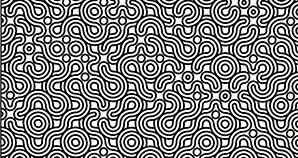 Rather, they were, at least in the beginning when searching for motifs, guided by mathematical and geometrical aspects. The fact that they succeeded in opening up a largely unknown realm of graphically attractive forms went unheeded by the critics.